The Crimson Tide takes its No. 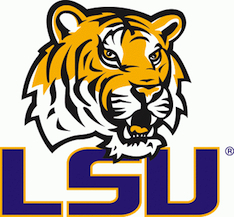 1 ranking down to the bayou to battle LSU on Saturday, November 3. Kickoff is 8 p.m. on CBS. Join Alabama alumni in the Greater New York City area at NYC's best sports bars, The Ainsworth and The Hill, with a new addition to our UANYC game watch locations, Ainsworth Park. Located in the heart of Gramercy/Union Square, Ainsworth Park (111 East 18th Street) features 65 televisions covered in antique mirror, four private areas for corporate and private events and a 60-foot patio. Ainsworth Park is a one-stop shop for brunch, lunch, dinner, cocktails and sports viewing. With the addition of Ainsworth Park to The Ainsworth and The Hill, there will be no better places to watch the game outside of Baton Rouge. To reserve a table at The Ainsworth, The Hill or Ainsworth Park, send an e-mail to alabamanyc@gmail.com starting Sunday, October 28 through Wednesday, October 31. Requests from dues-paying chapter members and those received by Wednesday are given priority for table reservations. In your request, provide the number of guests (minimum of four), preferred location, cell phone number and the name you would like on the reservation. Confirmations will be sent out Thursday afternoon. We will do our best to accommodate everyone, with dues-paying chapter members given priority. Caroline Cooney and Kim Gilmer will be our game captains. Our game captains will be on hand to welcome you and offer any guidance to help make sure your game watch experience is the best it can be.